Loss prevention is generally the arm of a retail company that polices ethical standards in the workplace. Maintaining high ethical standards in the workplace is at the heart of any reputable business and any successful loss prevention program. We tend to do business with those we trust and respect, and we tend to receive business from those who trust and respect our company. Those standards are at the root of our business relationships and ultimately establish and maintain consumer confidence. Ethical standards in the workplace drive both our current performance and our future growth and demand our highest regard and attention. On a personal level, our standards of conduct also provide the foundation for the types of individuals we are, the type of business that we represent, and the types of leaders that we will become. Reflecting high ethical standards in the workplace demonstrates to those around us the values and principles that define respect, confidence, integrity, trust and moral character. 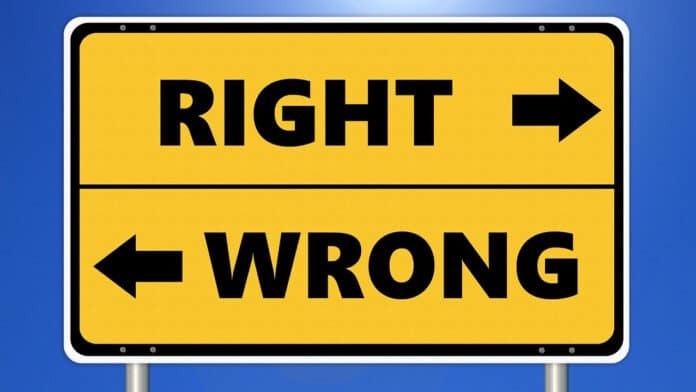 The concept of ethics can be difficult to define in absolute terms because it deals with intangibles that include our principles, values and beliefs. Simply stated, however, ethics is the science of human duty. It personifies our application and analysis of attitudes and behaviors as we make personal judgments on concepts such as good or bad, honest or dishonest, right or wrong, honorable or shameful, righteous or unjust. People can be unfair, untrustworthy or even dishonest without necessarily breaking the law. Ethics is the body of rules that govern the way that we behave and the moral standards that we live by. Our ethical standards guide our lives personally, professionally, intellectually and spiritually. As a science and philosophy, the subject of ethics can reach as far as the mind’s eye can see. Our interpretations of issues such as good/bad or right/wrong can be deeply personal and complex. While the bounds of this subject matter reach well beyond the scope of this post, certain subjects require our attention. In the retail LP world, we are faced with an array of ethical issues on a day-to-day basis. Some issues are easy to decide, while others can be much more difficult due to their complexity or surrounding circumstances. Just being a good person with high ethical standards may not always be enough to make the tough choices that can arise in the workplace, especially when matters are clouded by mixed or conflicting ethical dilemmas. However, the nature of a position in the loss prevention field relies on our ability to make the right ethical decisions at the right times and earn the respect of our fellow employees. As a loss prevention professional, you possess a tremendous amount of responsibility and authority. Above and beyond your obligations to protect company assets, reduce shortage and enhance profits, you are expected to set an ethical example for others to follow. Your attitudes and conduct must be aboveboard in the eyes of all of those with whom you work. Loss prevention is generally the arm of a retail company that polices ethical standards in the workplace. Often viewed as the “conscience” of the company, LP’s own integrity must be beyond reproach, as others will look at our conduct as a mirror image of the company standard as well as an indication of how our company reads, responds and reacts to ethical challenges. Retailers recognize the importance of properly communicating their standards of excellence in every aspect of the business. Most people associate good conduct and business integrity with company success, and clear core values are seen as essential to the performance of the organization. In such a competitive business, where the reputation of a company can be crucial, conduct is often viewed as a direct reflection of the values, attitudes, belief systems, decision making, commitment to its customers and the leadership of the organization. Facilitating the highest possible standard for ethical behavior serves to help safeguard our company’s reputation, conveying a commitment to responsible practice and enhancing the overall success of the business. Building a successful career in loss prevention has always been predicated on the commitment to professional development. Working in a business as dynamic as retail, it is essential that we remain flexible in our methods and progressive in our approach to a global retail market. As the business moves forward change comes quickly, and our skills and abilities must evolve to meet the needs and expectations of a new professional standard. To learn more about investing in your career and the certification process, visit losspreventionfoundation.org. This post was originally published in 2017 and was updated April 17, 2019.